and Tacky Jacks Restaurant and Bar is located just under 2 miles down main road going West in the marina. "very nice location if you want be be away from the crowds"
"It is very peaceful, isn't it? And with a great view of the bay! We look forward to seeing you again!" "We loved the house and its location. It was very clean and well maintained. The only thing that I would change is the mattress in the master bedroom....if two people are in it, it tends to pull them into the center! Great for snuggling but not great if you need elbow room in the bed :) Otherwise it is a great place to escape to and avoid the hustle and bustle of everyday life! The management team was very good in answering questions and very easy to work with!" "YAY!! We appreciate the feedback! We are so very glad you enjoyed your escape. Come back real soon!" "Our stay at this rental was great!!! The house was cute and the deck and view were amazing. The house was great and the only thing that kept it from being perfect was the loud HVAC unit. It was load when running in the house and outside as well while relaxing on the deck. Other than that the stay was just about perfect (other than it rained a lot but of course that couldn't be helped : ) We have always stayed on the beach side but we will definitely be bay people in the future. Hoping this house will be available when we can make out next trip down to Gulf Shores/Fort Morgan. " "Awesome! We are so glad that you enjoyed your stay in Mama's Happy Place, Too! The view of the bay doesn't get much better! Give us a call and we will get you booked for your next trip!" "MHP2 was the perfect place for us for a great time at the coast. The house is located on a canal that opens to Mobile Bay and is walking distance to the gulf beach. It had everything we needed. The folks at Sunset Properties are so nice and helpful if you have any questions. We will be back next year!" "Awesome! We are so happy that you enjoyed your stay at Mama's Happy Place! And what a beautiful view of the bay! Give us a call when you are ready to book for next year! Share about your stay on our Facebook page!" "The house was adorable. Wonderful view. Very quiet area. The beach is super close. The beach area was great. It was not crowded for a public beach. I would definitely stay here again! " "Yay!! Thank you so much for the great review! We are so glad that you enjoyed your stay at Mama's Happy Place, Too! Fort Morgan's beaches are beautiful and uncrowded. Check out our Facebook page and leave us a review to help spread the word! Come back and stay again soon!" "Our family's first time in this part of the country. We were thinking of finding a place in the Panhandle and stumbled upon this place searching online. It was just perfect! It is such a relaxing, peaceful area and the house/deck/docks/location were amazing! House was situated on the water in which we were able to enjoy beautiful sunsets sitting on the deck or docks below. Stunning views all around. The house was charming and very clean. Spacious kitchen and plenty of counter space to cook and/or entertain. This is a real gem - we will be back! Also - great neighbors who are friendly, helpful and very knowledgeable about the area. The kids were able to fish right off the dock and we met the resident heron who would sit patiently waiting for his dinner. We learned from the locals his name is Sam :) Just a wonderful vacation!! " "Thank you so much for the great, detailed review!! We love it when our guests are able to relax and enjoy their vacation! And, yes, the view from Mama's Happy Place, Too is awesome! Check out our Facebook page and help spread the word with your review! We hope you are able to come back soon!" 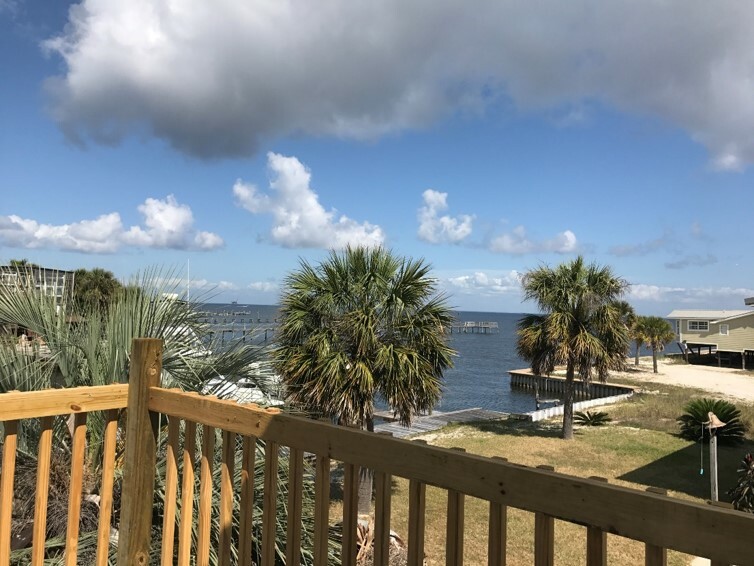 "This was our second vacation to the gulf shores of Alabama but our first time renting on the bay. We loved our quiet little slice of heaven. It was a perfect get-away. " "So glad you enjoyed your stay on the bay! We think the views are beautiful! Hope to see you again soon!" "Had a great visit in mama's happy place II. It felt like home. Even the permanent residents helped us to feel like we were home. Everything was clean and well organized . Thank you to the owners ." "Thanks for writing a review, this is one of our new properties and we are really excited about it! Hope to see you again soon!"